A MyCiTi system refresh was introduced on 27 October 2018 to provide you with more travel options, new destinations and shorter journeys so you can get around easier, and enjoy our safe, reliable services even more. The 261 Adderley – Salt River – Omuramba route travels from Montague Gardens along Koeberg Road and via Albert Road in Salt River and Woodstock to the city. It also connects with the Golden Acre bus and taxi terminus and the Cape Town rail station. Route 260 Summer Greens – Woodbridge Island will run on Bosmansdam Road, Koeberg Road and Loxton Road to the Milnerton lighthouse. Route 262 Century Gate – Century City travels between the Bosmansdam Road entrance to Century City and links Central Park, Canal Walk, and the Century City rail station. 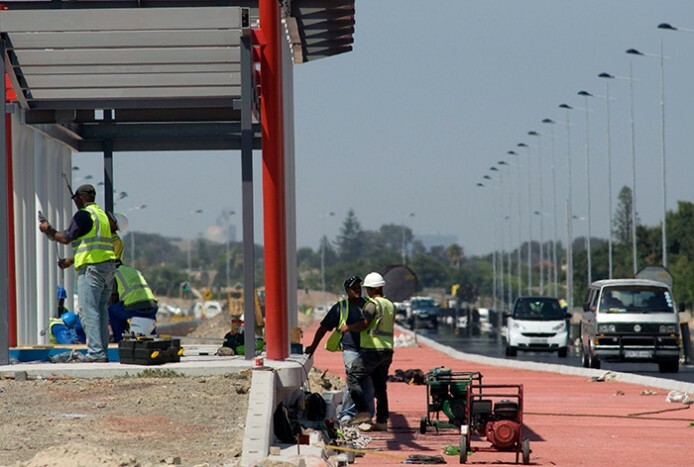 The first services from Khayelitsha and Mitchells Plain to the central city were launched on 5 July 2014. The following routes now link the Cape Town CBD with suburbs in the City Bowl area, Sea Point, Clifton, Camps Bay via the coast road and over Kloof Nek, and Hout Bay. The growing industrial area of Montague Gardens and the residential, commercial and lifestyle centre of Century City will be linked to the city centre, Table View and Dunoon. The main route from the city to Table View will extend along Blaauwberg Road to Dunoon. Two new area routes will link Table View, Melkbosstrand and Duynefontein. The West Coast town of Atlantis will be linked via main routes to Montague Gardens and Civic Centre in Cape Town, via Table View station. Nine routes will serve various areas of Atlantis and the nearby suburbs of Pella and Mamre.